Do you believe that the arrangement of Wooly Bullys' fur is a predictor of the kind of winter we are likley to have? They say that brown parts indicate milder weather and the black, cold. I have to say since I've been taking notice of them, the last decade or so, they have usually been very accurate! The ones I've seen this year had black start and finish with brown in the middle - a mild winter with colder start and finish! We'll see! We call those "Woolly Bear's". Always fun to see if their predictions come true! 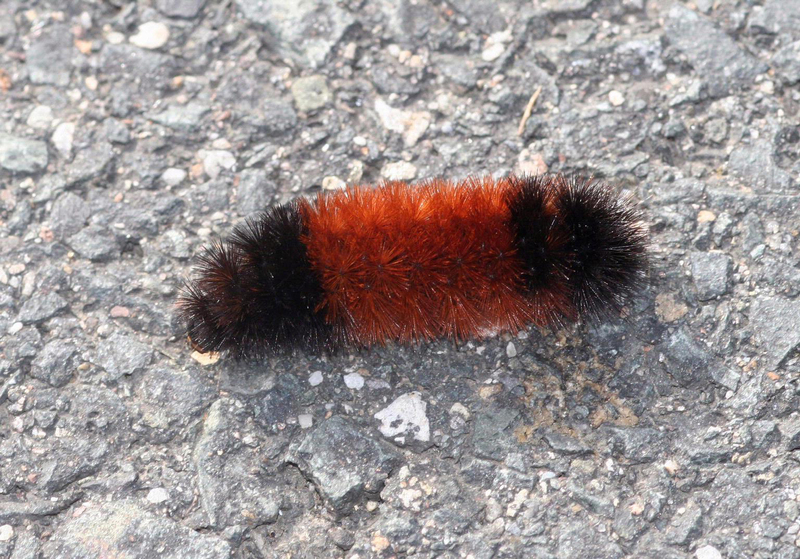 We used to think that the winter would be cold and long if the woolly bear had a lot of thick fur. I see that the Farmer's Almanac talks about your method. Last edited by Miles; 11-19-2018 at 07:39 PM. In my neck of the woods, we always called them Wooly Buggers. That would be so cool if the winter forecasting is true. I'm an immigrant into the mountain community and am very blessed to have been warmly accepted up here. Up this way, they call them both woolly bullys and woolly worms. My neighbours taught me the weather forecasting from their fur. So far it's been accurate. I just think they are extremely cute and get a great deal of satisfaction rescuing them from spiders' web etc. It was 6 degrees at my house this morning. been almost like this for the last couple weeks. The Blue Ridge Mountains are old so they've had all their height worn down, most of the highest points are in the 3 - 4 thousand feet category here. It gets very windy up here which tends to drive temperatures down via wind chill. I've noticed the last 5 years or so that rather than getting straight rain or straight snow that temperatures are a couple of degrees higher now and hover between the water and freeze line. I think in a few years' time most machines are going to rebranded as 'slushblowers' !! The Blue Ridge Mountains are old so they've had all their height worn down, most of the highest points are in the 3 - 4 thousand catergory here.